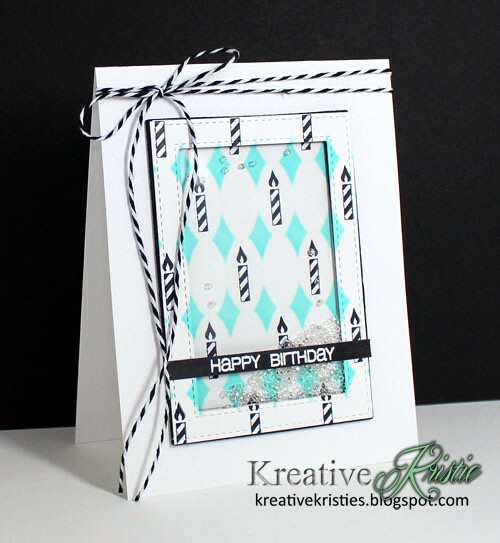 Kreative Kristie: Happy Birthday Shakers! 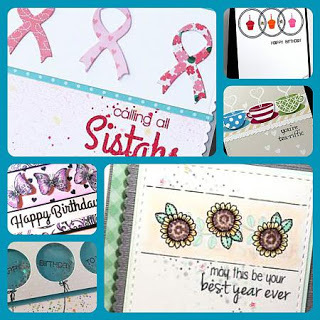 I am sharing a couple cards I made using the SOA Young at Heart Collection. I was inspired by this card by Maureen. I love how she stamped the candles inside some of the open spaces after stenciling. I filled the inside with seed beads and I love how freely they move around. Here is another card using the left over piece. I am popping both of these over at Simon Says: Shake It Up! & Seize the Birthday: No toppings. 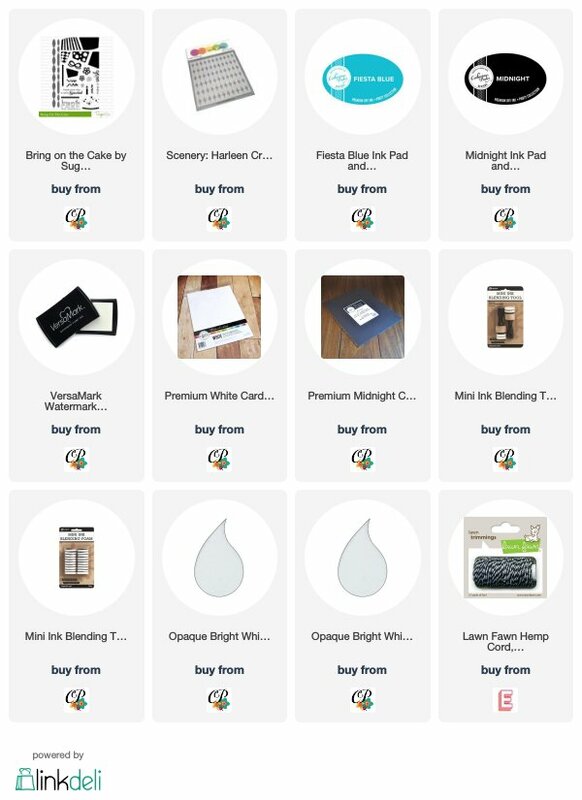 A new sketch challenge was also posted on StampNation yesterday. Here's a peek at the DT samples. Love your spin on Maureen's card. I also love how you managed to create 2 cards using the one stamped panel. Cannot wait to start creating with the supplies from my SOA box, which arrived yesterday, and with some of the fun goodies that you sent me and which arrived today. Woot! The candles and the harlequin/argyle (?) are the perfect pairing! Love the pretty blue ink and love your resourcefulness in using the 'leftovers' for a second card! This one deserves to be shaken, not stirred, Kristie!!! OH it's so cute! Very pretty shaker cards. Love them both. I love these shaker cards. They are so cute. I love shakers and these are fabulous! Wonderful cards Kristie - love how you have taken the pattern onto the frame around the shaker element on the first card. Wow, love your two fabulous cards. Great pattern you have created - fabulous ! 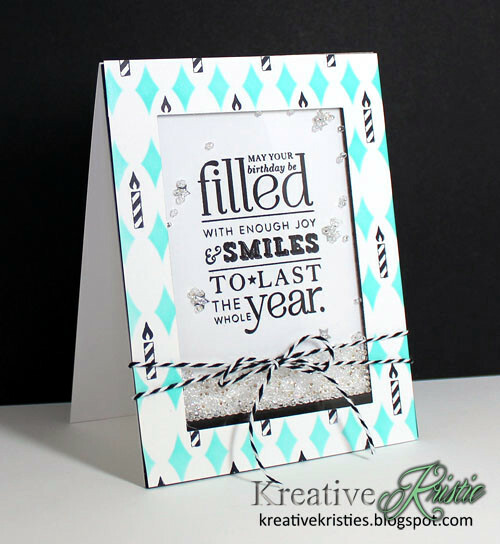 So impressed with these cards Kristie!! I love the colors and the brilliant design! So impressive! Thanks for sharing your talents with us at Seize the Birthday! Hi there, Kristie! What a fabulous shaker card. I'd like to invite you to come play along with us at CropStop - always Anything Goes. I hope you will join us!